The recruitment offices would be absolutely packed with people because of this invasion, and many of the new recruits were being issued a new gun that they had started production on. This gun would change the fate of the French military as time progressed. Many women were eager to join and would ask for female legions, with one wanting to be called the “legion of the Amazons.” They were hoping that their service would lead to citizenship, but they kept being denied for military service and citizenship throughout this whole process. It is interesting to note that no matter how radically liberal this revolution got, the idea of giving women citizenship was never a serious topic. from monarchy, but it was highly questionable whether they could back this up. 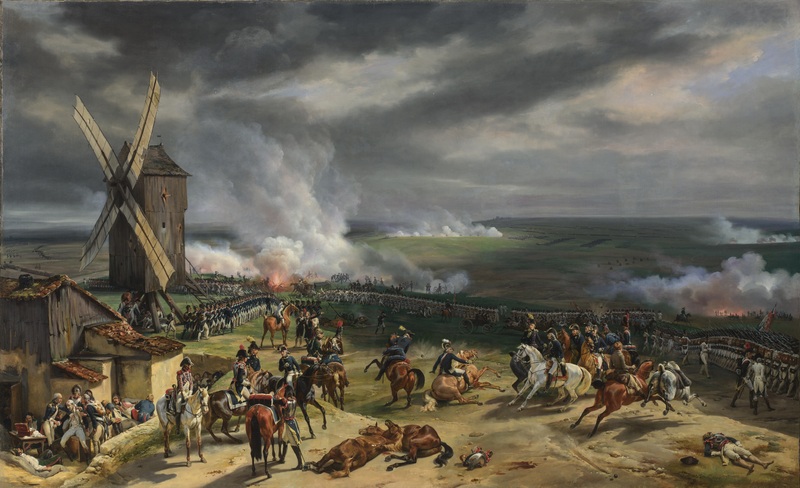 A string of French victories after Valmy would not only prove that they could, but lead to a collapse of the coalition that wasn’t sure they wanted to fight this war anyway. This era would be the first time that French troops would sing La Marseillaise, a song about their victories that would become the National Anthem (1795). All of these drastic changes created more problems for an already troublesome economy. This anti-establishment mentality led many people to refuse to pay their taxes, which would cause the debt to rise from 10% to 64% within 4 years (1789-1793). Instead of paying these debts the government decided to simply make more paper money, which led to massive inflation and tanked the economy even further. On top of this there was another bad harvest in 1795 at the same time that they removed the price controls for the food. The shortage of crops led the prices on food to balloon to over 3500% what they had been before. This would lead to more riots by the sans-culottes and helped the Jacobins take even more power in the government. The Vendée region didn’t stop its hatred toward the government after the issues surrounding de-Christianization. The government would continuously have to sent troops to pacify the area, fighting the royalists and Catholics in the region. The people would eventually realize that they cannot beat the French army in traditional warfare and would start using guerrilla tactics against the French military. The French would react by sending an army of 45,000 under General Jean-Baptiste Carrier to “pacify” the area with destruction. As the officers became more frustrated at the type of warfare they were fighting they began to treat the local people with progressively harsher tactics. This would eventually turn into a ‘scorched earth’ policy, where soldiers were told to wipe everyone out regardless of guilt. Terrible stories have been found regarding the actions of soldiers and even leaders, such as the General who trampled children on purpose with his horse. While this is usually considered genocide to current scholars, the number of dead in this atrocity is highly debatable. Records vary wildly when it comes to the dead because the official history had reason to keep the number low and the oral history from the region had reason to inflate it for propaganda. To the best of our knowledge, somewhere between 117,000 and 450,000 were killed during this time.